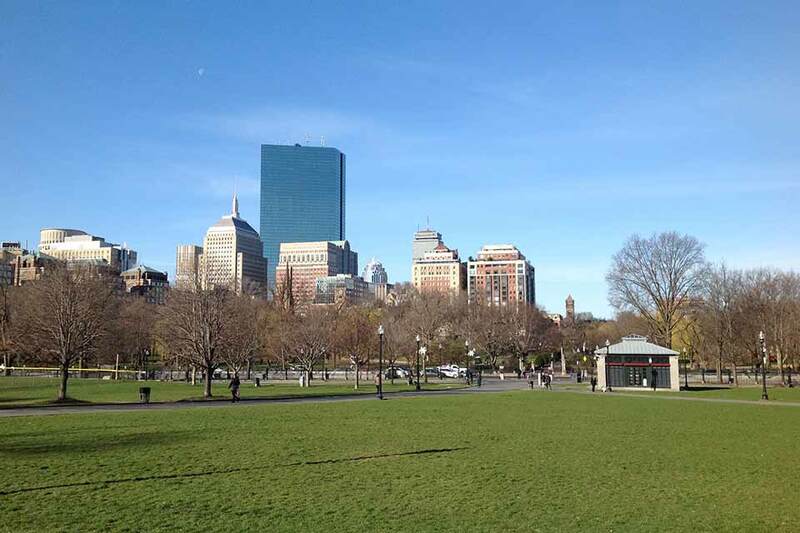 Boston Common and the adjacent Public Garden are iconic landmarks that date to the City of Boston’s earliest years. A 700-foot-high office tower is being proposed that would cast a long shadow over the Boston Common in violation of the state’s 1990 shadow law. 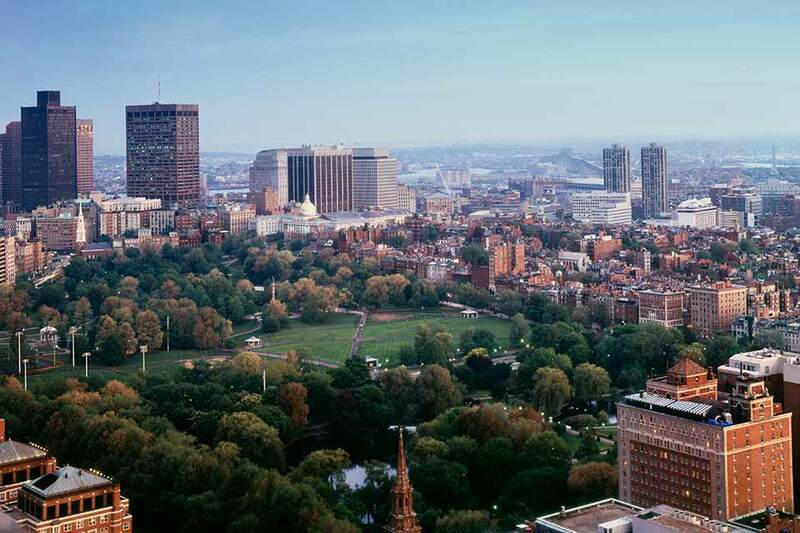 Boston Common and the adjacent Public Garden are iconic landmarks that date to the City of Boston’s earliest years. A 700-foot-high office tower is being proposed on Winthrop Square, a plot of land that the city recently sold to developers for $153 million. 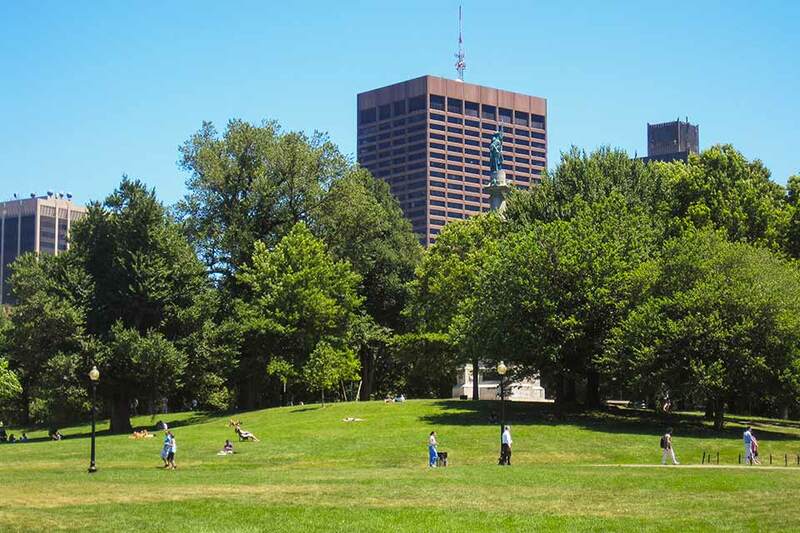 The building would cast a long shadow over the Boston Common in violation of the state’s 1990 shadow law, meant to protect the park from excessive amounts of shadow. On Friday, July 28, 2017, Massachusetts Governor Charlie Barker signed an exemption to the state’s 1990 shadow law. The project is now before the Boston Planning and Development Agency. 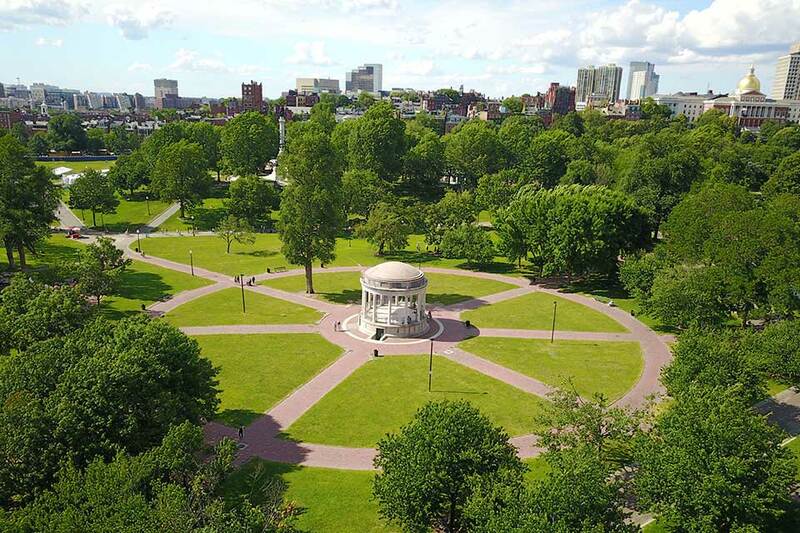 The Boston Common, along with the Public Garden and Commonwealth Avenue, served as a preamble to the Boston Park System. As in many New England towns, Boston’s common land, used for pasturing cows, also accommodated pedestrian foot traffic. Until 1830 cattle grazed freely on the treeless grounds, then known as Blaxton’s farm. 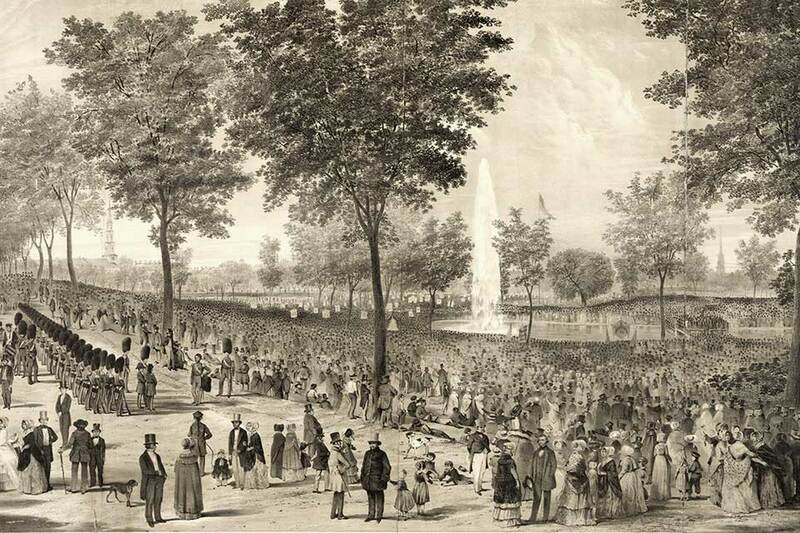 In 1836 an ornamental fence was constructed around its perimeter and the park’s circulation network was articulated to include pedestrian malls and promenades. The transformation to a wooded park, lined with double and single rows of canopy trees, happened in the late nineteenth century. 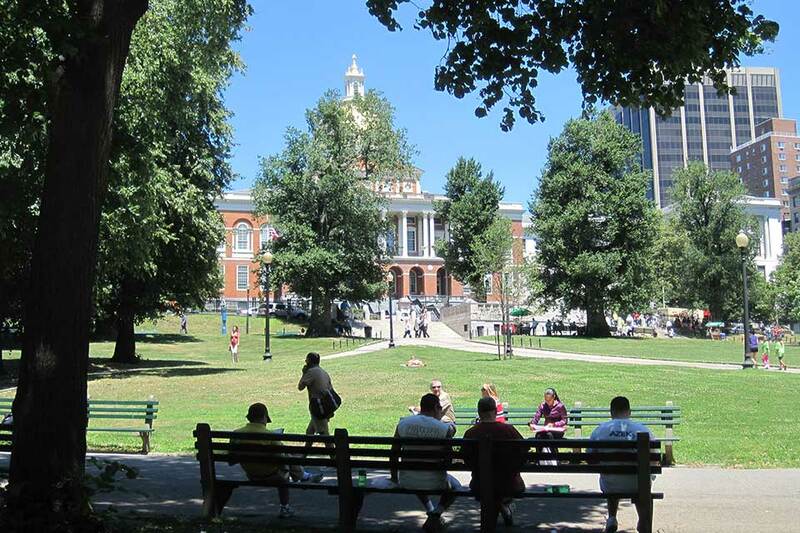 The 50-acre park, located at the foot of the State House, has no single designer. Olmsted Brothers oversaw considerable renovation between 1910 and 1913, while Arthur Shurcliff prepared a general plan in the 1920s. 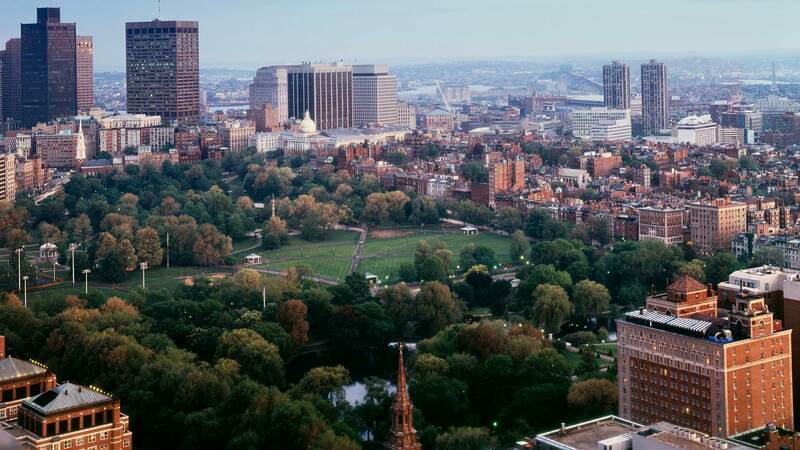 In 1990 the Boston Common Management Plan was completed. The plan was updated in 1996. 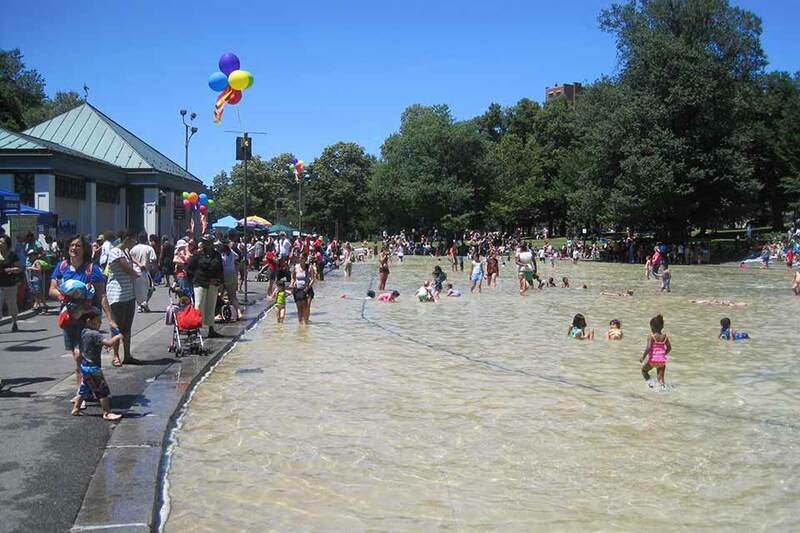 Significant landscape features include the Brewster Fountain by Paul Lienard; the Soldiers and Sailors Monument by Martin Milmore; and the Parkman Bandstand. The Central Burying Ground is one of the city’s oldest cemeteries. The nation’s first subway system opened here in 1897. The Common was listed in the National Register of Historic Places in 1972 and was included in a National Historic Landmark Historic District in 1987. 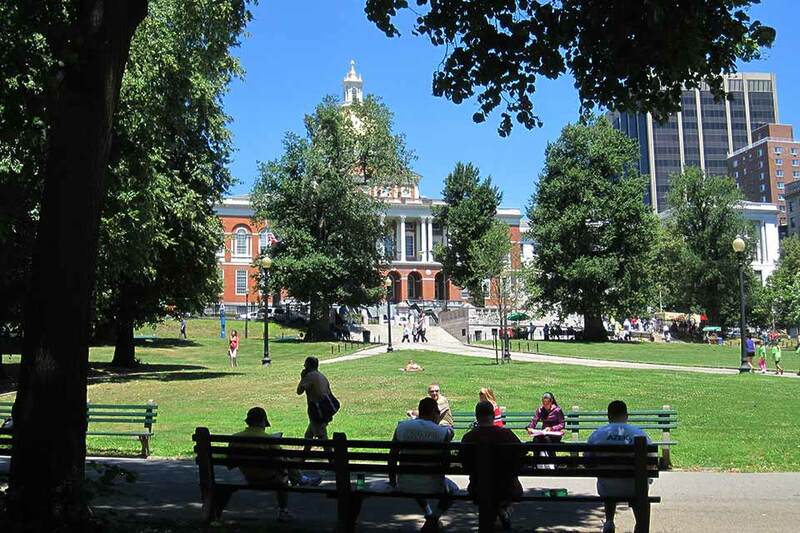 On Friday, July 28, 2017, Massachusetts Governor Charlie Barker signed an exemption to the state’s 1990 shadow law, which limits the amount of shadow cast by buildings on the Common and Public Garden. The exemption would allow for the construction of a 7oo-foot-tall, 5o-story condo and office complex at 115 Winthrop Square, near the Common (the original height was 775 feet, but was reduced after concerns were raised that it could interfere with flights in and out of Logan Airport). The height of the proposed skyscraper is nearly twice the 400-foot limit that the current law would allow, and it is estimated that, if built, it would be in violation of the state shadow law on 264 days a year. A major impetus for the exemption is the financial windfall the city received – $153 million – from the sale of the city-owned building to the developers. Millennium Partners, the building’s developer, and city officials, including Mayor Martin J. Walsh, a strong proponent of the project, persuaded the City Council and the state legislature to approve the exemption. The mayor has pledged that a significant portion of the proceeds would go to city park maintenance and the renovation of affordable housing. 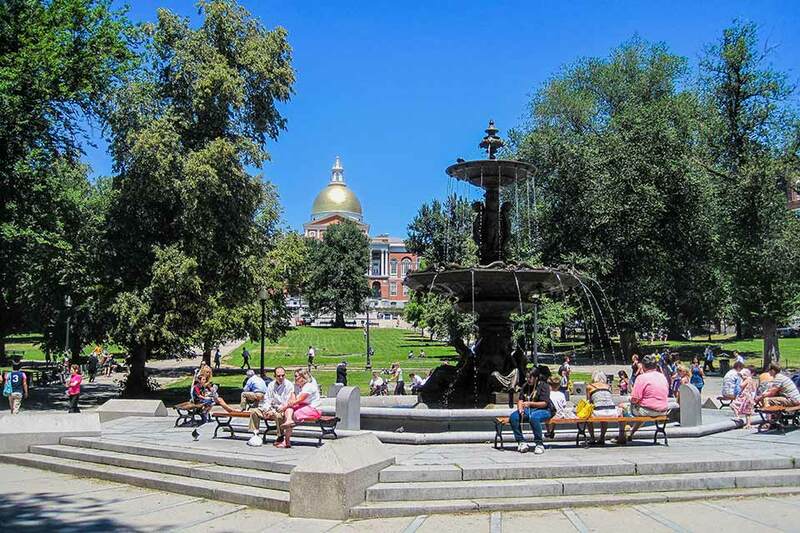 In fact, in his capacity as Chairman of the Massachusetts Historical Commission, Galvin has called for the Massachusetts EPA (MEPA) to conduct a full Environmental Impact Report (EIR) that would assess the impact of the Winthrop Square project on the Common, Public Garden, and neighboring historic areas and buildings. Monitor the project on the MEPA website, which is updated on a bi-weekly basis. This is where information on the Environmental Impact Report will be published, along with the name of the MEPA staff person overseeing the project and the due date for comments.